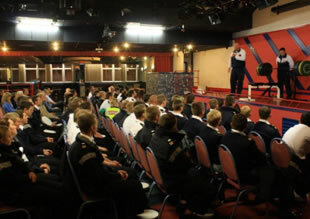 First, they had lives that were spiralling out of control before they had a life-changing experience of the love of Jesus Christ and second, they spend time lifting weights in the gym. 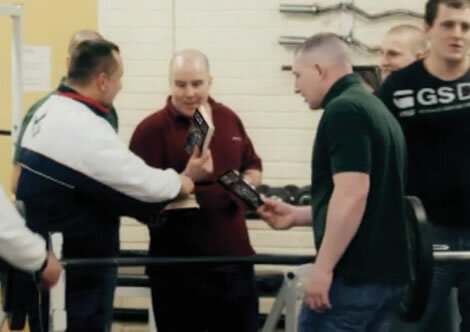 This is the most visually dramatic lift and is frequently demonstrated by the team during meetings.The loaded bar is placed on the lifter’s shoulders and he then squats down (almost touching the floor with his backside!) and then slowly stands up again. 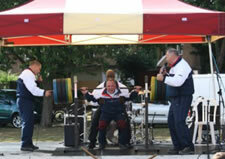 The amount of weight is increased in stages and, during these demonstrations can be as much as 260kg. Of course in competitions, lifters can exceed this amount. Joe Lampshire is a British powerlifting champion who’s best squat is over 330kg and regularly demonstrates this lift at Tough Talk meetings. Joe Lampshire competing at the Commonwealth Championships with well over 300kg. 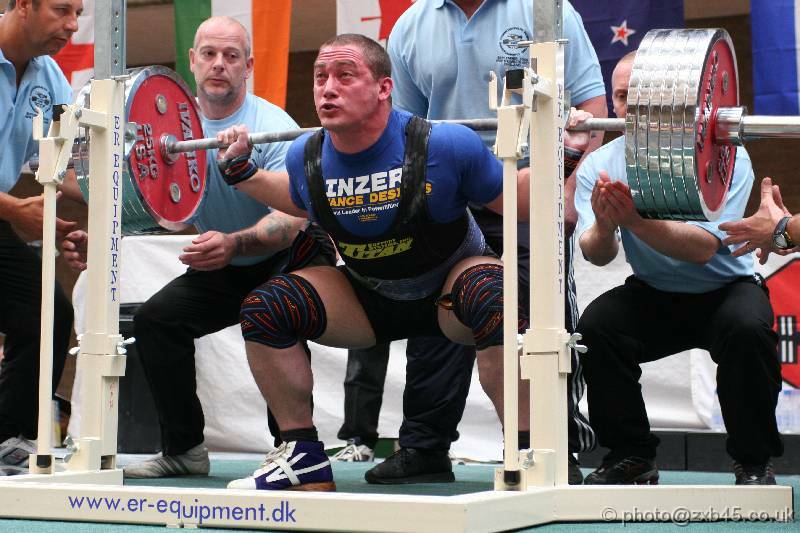 In 2006 Joe broke the British Squat record & overall total record! 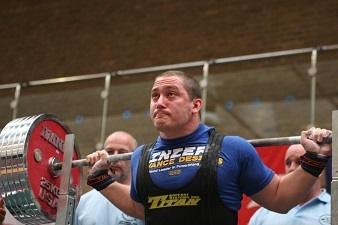 In this disclipline, the lifter lies on the bench, the loaded bar is placed in his hand and he has to lower it to his chest and the press it up to extend his arms. A member of the audience at a Tough Talk meeting demonstates his strength at the bench press. Arthur White demonstrates the bench press. Arthur is a multiple British, European and World powerlifting champion. In this disclipline, the lifter keeps his back straight and lifts the loaded bar from the ground. Arthur White competing in the World Championships in Argentina. Arthur holds a World Record deadlift. Here Arthur is competing in the World Championships in Canada. Here, Arthur is competing in the European Championships in the Ukraine and this is a picture of his winning deadlift of 318kg.